The first crepuscular rays are beginning to peek through the stereotypically divisive weather as we trudge onwards towards the slightly less grey summer period. As the ceaseless baking of the British summer looms over the innocent soil, mulch stands stalwart against such brazen disregard for its integral moisture content. For a one-size-fits-all solution, the Olus 10mm soil conditioner offers not only a decent mulch but also acts as a dedicated compost too; providing a nutritious soup for one’s garden to feast upon. Getting the mulch down early allows more of it to break down before the time that it’s needed whilst maintaining favourable conditions within the soil. This can be repeated a number of times a year but a thick layer late winter or early spring is usually sufficient unless the plot is under intense growing pressure consistently. 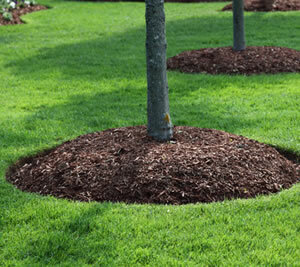 Alternatives involve the general purpose Woodland Mulch which gets the job done primarily around flower beds and borders for a decorative but balanced result at a good price. For heavier coverings with a grand sense of spectacle, Bark is overwhelmingly favoured for its voluptuous layering and resistance to disruption whilst acting as a superb blanket. 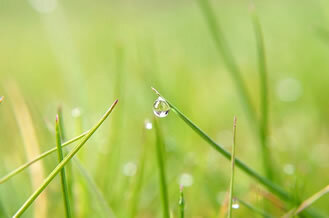 Allowing for an average covering of around about 2 inches across the whole area should be sufficient for all purposes whether it be to maintain moisture content or to staunch weed growth. The larger the individual pieces of the mulches obviously means that that type of mulch will decompose slower than smaller types.